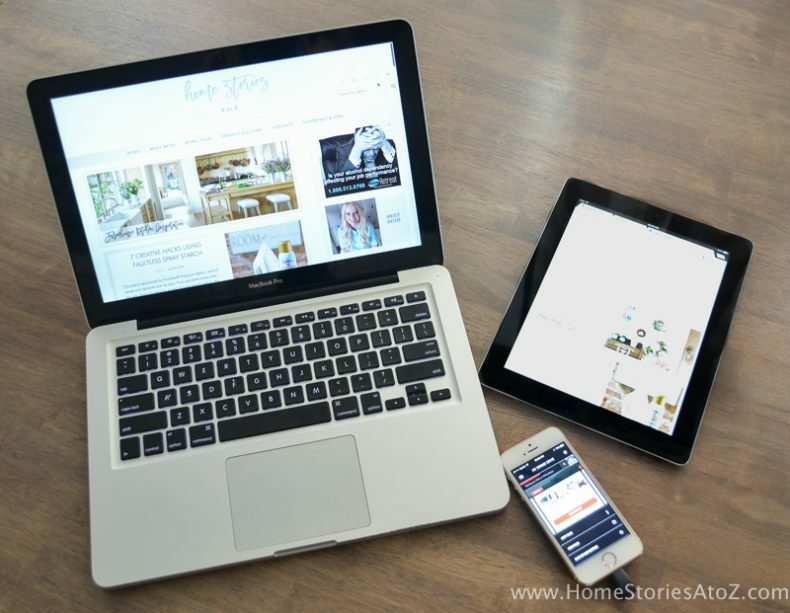 Ask any blogger who has been blogging for more than four years, and I am willing to bet that he/she struggles with keeping photos backed up and organized! I have at least four years worth of pictures stored on my iPhone! Although it’s backed up through iCloud, I never seem to have enough storage on my phone. 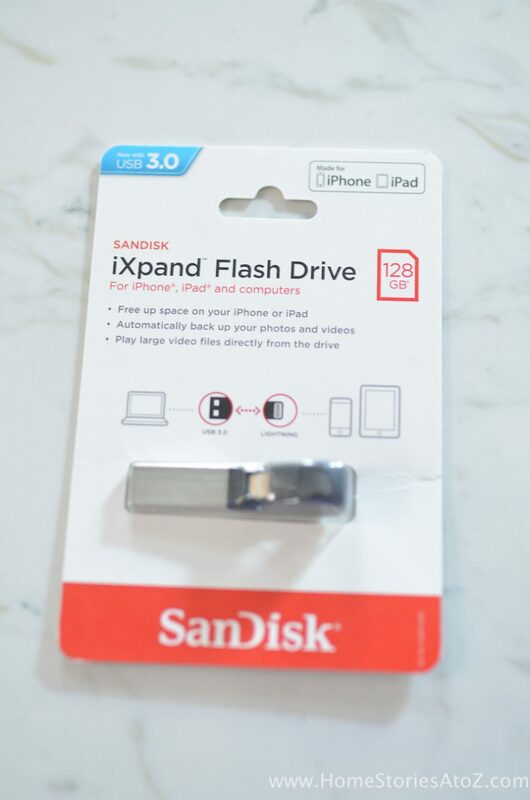 Let’s all say Hello to the all-new SANDISK IXPAND™ FLASH DRIVE for iPhone and iPad! 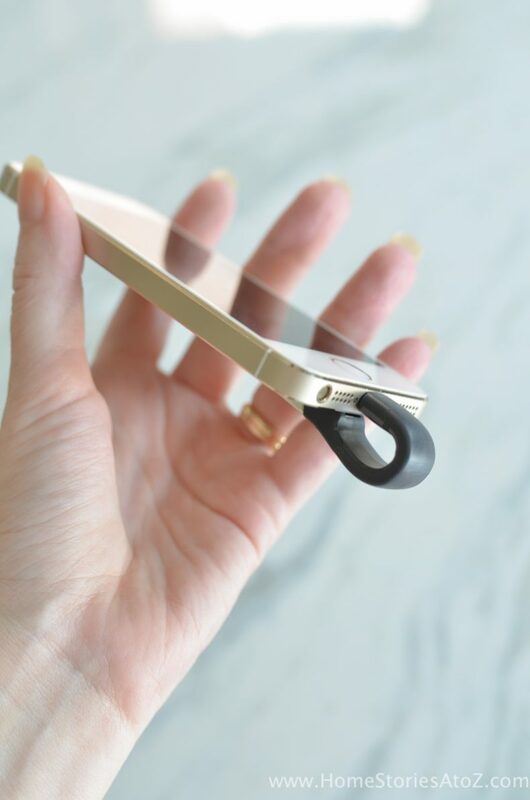 Have you seen this gadget yet? I am declaring it a “must have” for all of us who love to share photos and video across numerous devices! 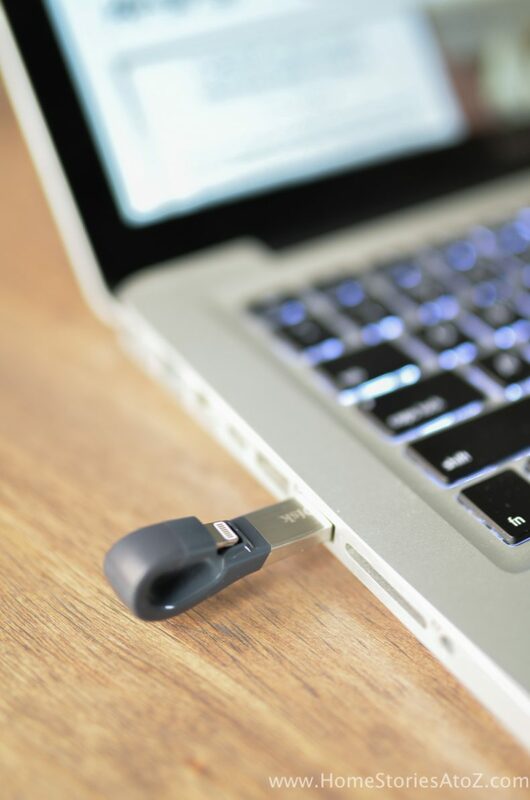 The IXPAND FLASH DRIVE with its flexible Lightning connector and USB 3.0 connector allows you to easily transfer photos and videos between your iPhone, iPad, PC and Mac. And for a limited time, SanDisk is offering a $50 off coupon on the 128GB IXPAND FLASH DRIVE making it an incredibly affordable way to increase storage on your mobile devices! Pictured below is the packaging for the IXPAND FLASH DRIVE. As you can see, the compact device has clear directions for use pictured on the outside of the packaging. However, what the packaging doesn’t tell you is that you will need to download the SanDisk IXPAND App in order to use the device. Conveniently, your phone will prompt you to download the app upon plugging in the device. The app will also detect the drive being plugged in and automatically launch–making it ideal for those of us who are lazy or who might not be “tech savvy”. 😉 It is incredibly easy to use! The design of the flash drive is nothing short of genius! 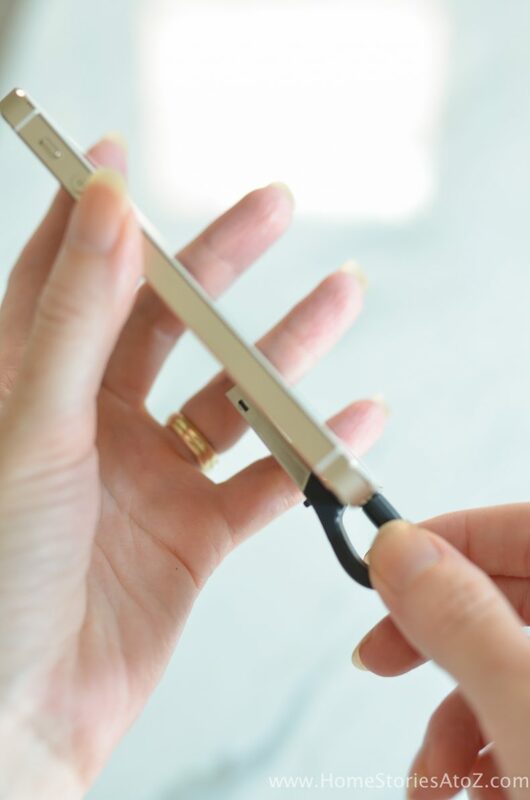 Simply connect the lightning connector to your phone and the USB connector will curl out of the way around the back of your phone. The flexible Lightning connector works with most cases. Best of all, you can continue using your device while the backup is in progress! 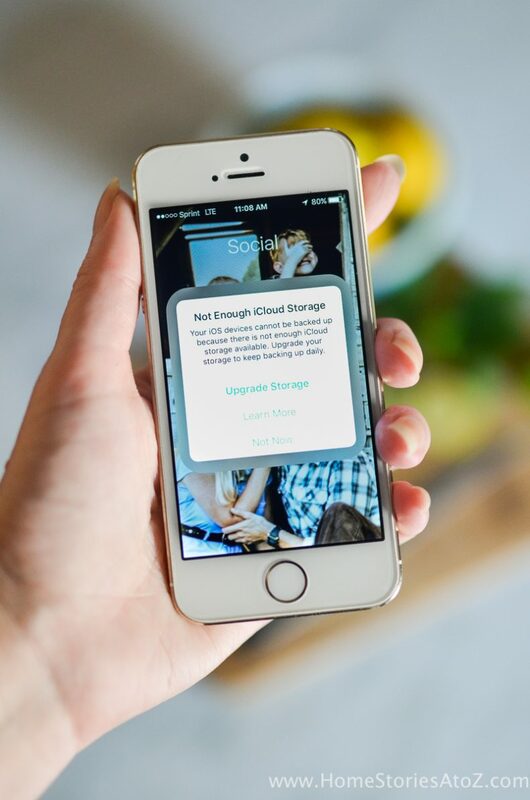 Once your backup is complete, the app will ask if you want to delete the backed up items from your device to free up space. 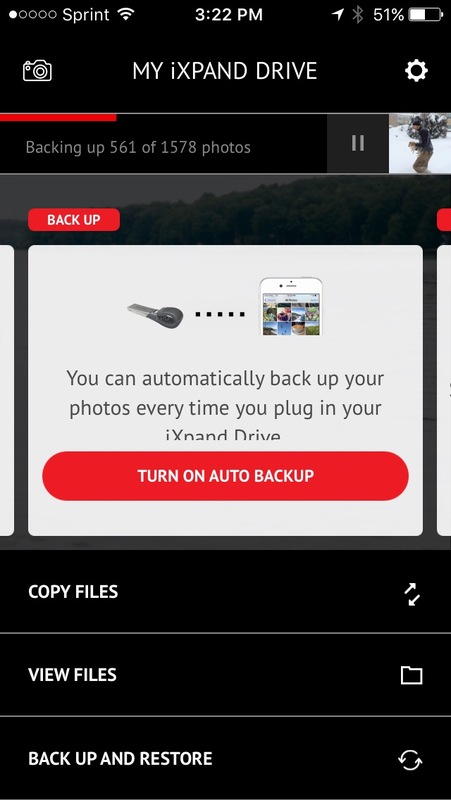 You can also connect your social media accounts through the app and back up your social media photos! Worried about losing all of your iPhone contacts? No more need to worry! You can back those up too. One of the things I love about the IXPAND FLASH DRIVE is that it makes transferring blog videos to my computer so much easier! I can now use the “photo feature” on the app to directly record my video to the flash drive instead of to my phone. When I’m ready to transfer the videos to edit on my computer, I just plug in the USB 3.0 connector to my Mac and let the auto-sync feature work its magic! If you are interested in purchasing the IXPAND FLASH DRIVE, you can do so on the SanDisk Store. 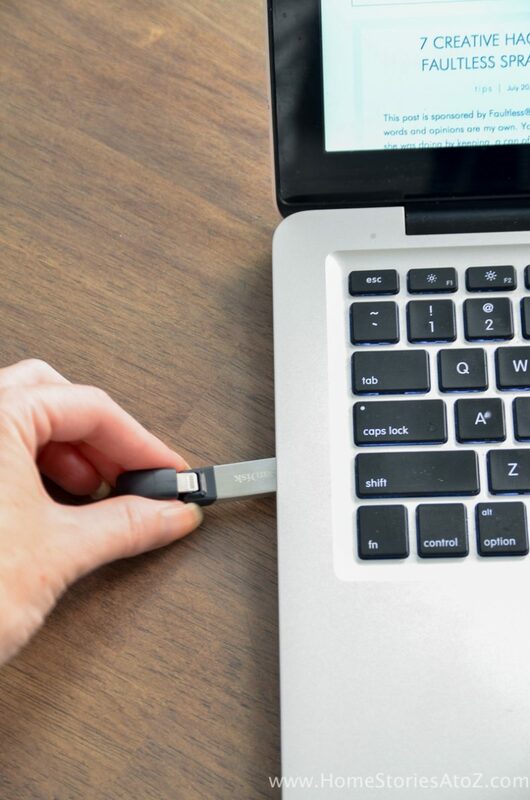 The 128GB* flash drive retails for $129. However, act fast and obtain your $50 Off Coupon now! Coupon can only be used to purchase the 128GB* SanDisk IXPAND FLASH DRIVE and needs to be used before Aug 31, 2016. Offer applies only to purchases (not including tax or shipping) from the SanDisk Store. *1 GB=1,000,000,000 bytes. Actual user storage less. SanDisk is a trademark of Western Digital Corporation or its affiliates, registered in the U.S. and other countries. iXpand is a trademark of Western Digital Corporation or its affiliates. Apple, the Apple logo, iPhone and Lightning are trademarks of Apple Inc., registered in the US and other countries. Other brand names mentioned herein are for identification purposes only and may be the trademark(s) of their respective holder(s). This post is sponsored by SanDisk®, a Western Digital brand, and includes affiliate links. I received compensation in exchange for writing this review. All opinions are my own.